Generation Z is anticipated to make up 40% of consumer markets by 2020, which poses an opportunity for massive disruption in almost all industries. Even the largest of corporations can be uprooted with this quick shift in consumer preferences and the scrappiest of startup can gain major market share. As this change is approaching, many corporations are trying to understand “Who is Generation Z?” and “How can they better appeal to Gen Z tastes?” Answering these questions is no easy task and many Fortune 500 companies are turning to this consultant for help rethinking their business models and marketing campaigns. Connor Blakley is a youth marketing strategist and founder of YouthLogic. He works with brands like Sprint, NPD Group, and Modells Sports. After talking with him about what he offers corporations and how these huge organizations are adapting, these were the three adaptations he says are most important for any corporation getting ready for Gen Z. 1. Be loud and different. Now more than ever companies need to fight to stand out from the crowd. Young people are inundated with advertisements, promotions, and branded content on a daily basis. They are used to using ad-block, hate when people try to sell them something without thinking about offering value, and scroll through thousands of pieces of content every day. Gen Z wants companies to woo them and appeal to their interests. All of this together means that companies can no longer afford to do the same things. They need to continuously innovate and offer new products and campaigns. They need to break away from the competition and think of ways to standout. Overall, in everything a company does, they need to think about how they can innovate to be the best, not what is the best industry practice. 2. Leverage multiple marketing channels. Since Gen Z splits their time between multiple different social networks and other platforms, such as music streaming sites, it is important that companies identify where their young demographics are looking and develop a presence in all of them. Companies need to have multiple touches with young customers in order for the marketing to have any effect on brand awareness. Focusing on this sense of ubiquity helps influence young people’s “social value,” which is there need to buy and covet products that other people want. If a brand is perceived as being everywhere, then it helps Gen Z believe the brand is prominent and in style. Furthermore, brands ought to be willing to adopt new marketing channels, such as Snapchat and Instagram Ads that allow companies to be early movers and standout, due to a smaller number of advertising companies. It can be easy to get caught up in the return-on-investment from campaigns, but if organizations do not look long-term they may miss out on the most lucrative opportunities. Since Gen Z has a short attention span, looks at many platforms, and digests thousands of ads per day, a single ad campaign may not drive a profit. Extended over a period of time thought, various marketing campaigns can work together to build an aggregate brand awareness that will transition into a sustained long-term advantage. As brands work to develop these long-term campaigns, they need to understand how various marketing opportunities work together to channel one unified brand story. Whether a company utilizes influencer marketing, content marketing, ad channels, or any other type of campaign, each method should be used for its own unique benefits, but also these benefits should all channel a singular message. 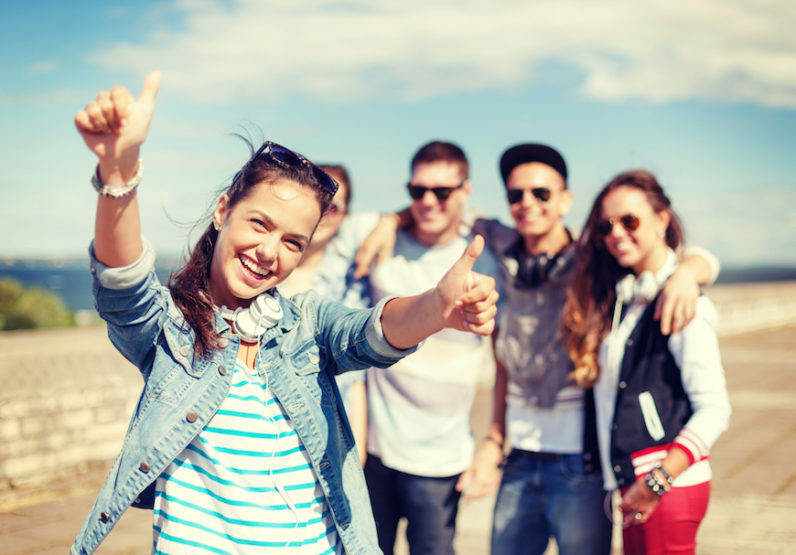 Gen Z is a great option for companies to find renewed success and write their future of their brand for the next decade. However, this will require them to think about their organizations in a new light and be willing to learn a new form of business. The easiest way to plan out the future of a corporation’s brand is to identify the tastes, preferences, and lifestyles of the organization’s younger demographics and figure out a long-term means of developing a relationship with them around those aspects.